Most of us dream of having a vast, spacious bathroom with a separate tub and shower, two sinks and maybe even a decadent chaise just for lounging between soaks. 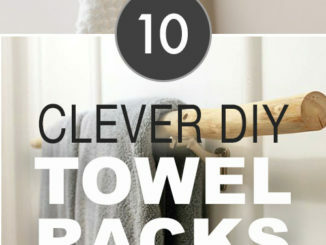 Well, whether you live that dream or not, you can make your bathroom live up to its full potential by using these strategies to give it a larger look. From carefully choosing your color palette and essential fixtures to employing a few clever visual tricks, you can use some or all of these tips to make your bathroom appear twice as large. 1. Go airy with white on white. One of the easiest ways to give your room a spacious look is to use lots of white — white tile, white paint, a white vanity and so on. This noncolor-color naturally recedes, making the space look bigger. It also reflects any available light, rather than absorbing it. White finishes can make any space look bigger, but they’re especially effective in a bathroom. Since a bathroom typically has lots of white fixtures already (the tub, toilet and sink, for example), using white for other surfaces creates a seamless look that makes the space appear as airy as possible. Note that using lots of white doesn’t mean the space has to lack character. Using different textural elements such as molding, pale stone or tile and fabric accents, as well as the occasional touch of metallics or wood, will retain the seamless look while still giving the eye lots of richness to take in. 2. Try tone on tone. Not a fan of stark white? You can still get a very big and breezy effect with a tone-on-tone palette in warm beige, soft grays or even faint hues such as powder blue. Choose a sumptuous tile, and find a paint color for the remaining walls that picks up on one of the hues within it. The overall effect is still serene and spa-like, without the jarring visual breaks to shrink your perception of the space. 3. Use a floating vanity. In a tight bathroom space, it can be tricky to balance a demand for storage with a desire for space to breathe. A floating vanity is a great answer. It gives you lots of room to store daily essentials, but the peek of flooring underneath makes the area feel a notch more open. In a very small space, having a little bit more room to plant your feet can make a big difference. 4. Less is more. 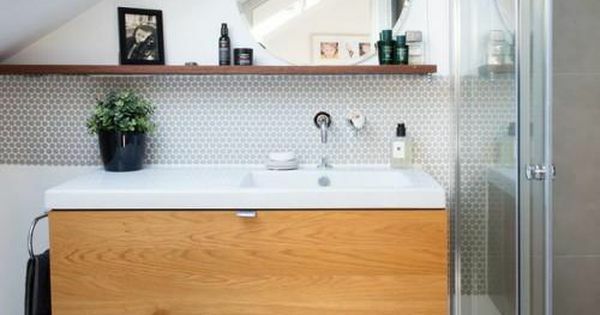 If you don’t really need maximum storage, consider using a smaller vanity to leave a bit more open space, rather than fitting in the biggest unit you can. Leaving a little negative space will make the area feel less stuffed, and thus roomier. And if your toilet or tub is next to your vanity, you’ll appreciate the extra open space even more. 5. Go big with your mirror. A large mirror can double the size of your space and, in a bathroom especially, can really help visually double your investment. In one sense, a very large mirror can be a bit expensive. However, compared with the price of tiling that wall, a mirror can actually give you an equally dramatic look (if not more so) at a better value. Splurge on a large mirror with a beautiful frame, or go wall-to-wall with a custom-sized piece. The effect can be so powerful that you need little else to make the room look perfectly finished. This can be especially effective in slim powder rooms with small walls that don’t take much glass to cover. 6. Use a glass panel. Another great way to expand the look of your space is by replacing a shower curtain (which forms a bit of a visual wall even when drawn open) with a glass panel or door. The entire square footage of the room will be visible at once for a bigger look, especially when you’re in the shower. If you prefer more privacy, you can use a frosted or tinted glass panel, which will still allow a lot of light to filter through so your shower experience feels less claustrophobic. If you’re performing a complete renovation and don’t consider yourself a bath person, try skipping the tub altogether and installing just a shower stall instead. They are easier to get in and out of, and removing the tub eliminates a lot of bulk that eats up precious room. 7. Find your niche. Sometimes a little extra space can go a long way. Adding an open niche not only steals some empty wall cavity space to use as storage, but it can add a lot of visual depth that makes the walls look farther away than they really are. Don’t love open shelving? Use that niche space for an inset cabinet and get all that functional storage without having a large object protruding into the room at eye level. 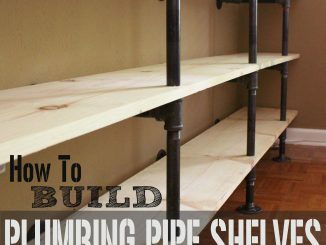 This will make the vanity area feel much more open and give you lots of extra elbow room. Keep in mind that plumbing, studs and other hidden conditions can affect where you can and can’t add a niche, so you should definitely talk to a professional before planning to open any walls. 8. Apply bright lighting. Good lighting is important to making any space look big and open, but in bathrooms, which often don’t have much natural light available, it’s especially important. Plus, in a bathroom, you need good lighting to do things such as shave or apply makeup effectively, so its importance can’t be overstated. In a small powder room, or where you can’t add new electrical for lights, try changing your ceiling light to one with multiple bulbs so you have light coming from several directions from one fixture. 9. Create long lines. Whether your bathroom is a typical rectangle or more oddly shaped, you can usually find one wall or area that’s a bit longer than others to emphasize. Adding a shelf, a band of tile, a molding chair rail or another long element (even a simple stripe of paint) can help emphasize the longest line in your room and draw the eye to the widest point. In this room, the encroaching low ceiling is de-emphasized by the wide shelf and tile backsplash that highlight the widest point just below where the slope begins. 10. Visually push the walls apart. If your bathroom is already very long and tunnel-shaped, rather than emphasize the length even more, consider working against the length and visually stretching the width instead. This room uses the direction of the long, elegant floor tiles, as well as a band of accent tile in the shower, to visually stretch the width of the room for a more balanced look and a less tunnel-like atmosphere.